B3-G, 1 & 2-29, Jalan Pinggiran 1/3, Taman Pinggiran Putra, 43300 Seri Kembangan, Selangor, Malaysia. We are the new & used machine tools suppliers + after sales service. Our company establish since 1996. 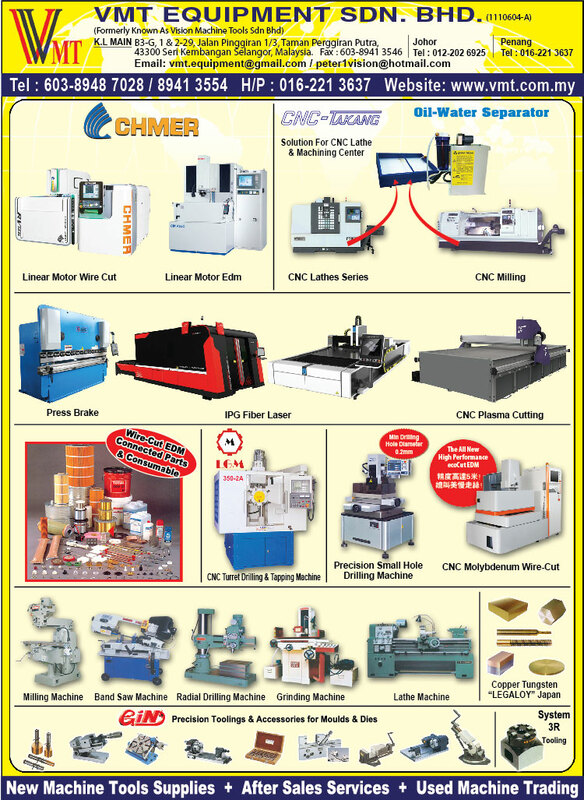 We supply full range of machineries from conventional to CNC machines. We have CNC Wirecut, EDM, Double Column Machining Center, CNC Lathe, Milling...ext. We also supply the consumable parts for EDM Wirecut machine. We provide ONE FULL STOP solution from delivery, setting-up, commissioning & after sales service.